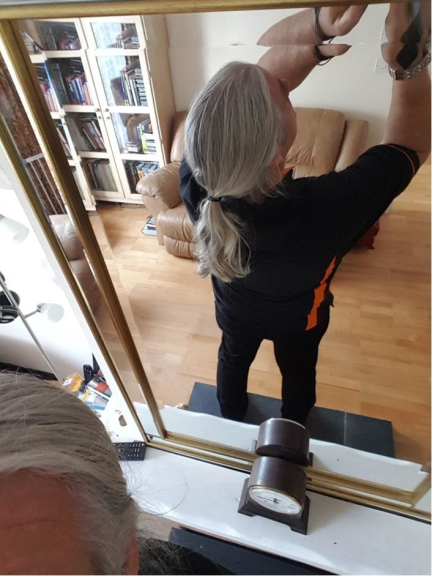 Ian Deaville of Ideal Fire Protection has pledged to shave off his hair to help a cause dear to his heart. "I have faced some personal challenges recently and have made great efforts to concentrate on just how fortunate I really am rather than spend time on negative thoughts. I focus on the positives that I have and the bright future that I have ahead. I also realise that for some the challenges are harder and the future might not seem so bright. Some years back I grew my hair, because I could. I did it to please me and in part to show that I was the master of my own destiny. People have asked me when I will have it cut and the answer has always been “when it suits me, not others”. I recently read about donating hair for wigs to provide to Cancer sufferers and realised that I might be able to provide someone with the confidence and self esteem that I and others take for granted. At that moment I realised I really wanted to do something. It then occurred that if I can get enough people to help me I don’t have to stop at one person, with help and the power of social media, maybe I can raise some money to support the good work done by Cancer Research. I went to their website and started a Just Giving Page that collects the money for me."